In a nutshell: In this article, we'll cover some of the additional steps needed to install an in-dash navigation receiver beyond those required for a regular car stereo. We'll talk specifically about the GPS antenna and extra wire connections. For the most part, installing an in-dash navigation receiver is quite similar to installing regular touchscreen stereos. But there are a couple of additional wrinkles: a GPS antenna and a reverse-direction sensor. 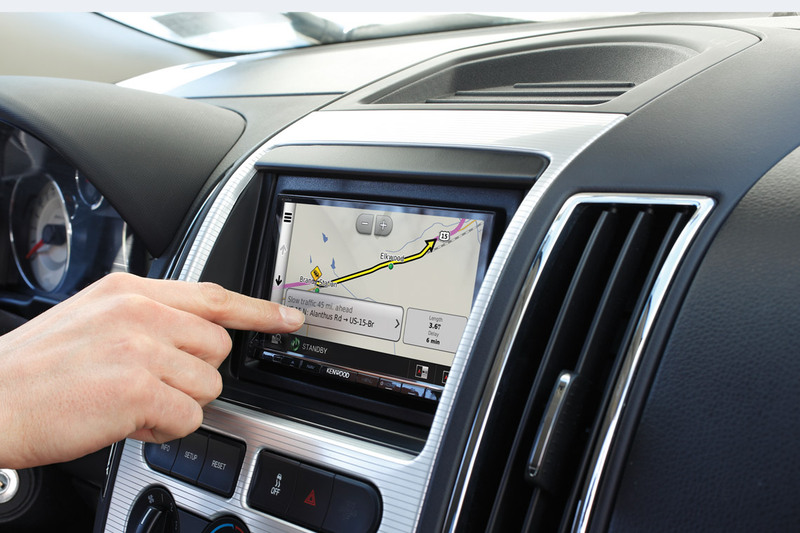 This article will focus on these extra steps for the navigation receiver's installation. 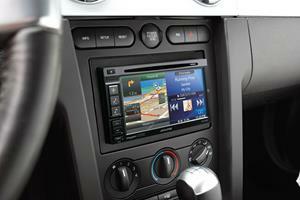 After you've read this article, refer to our Car Stereo Installation Guide for full details about stereo installation. 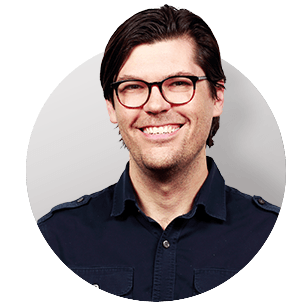 At the end of the article we'll talk about add-on navigation modules. 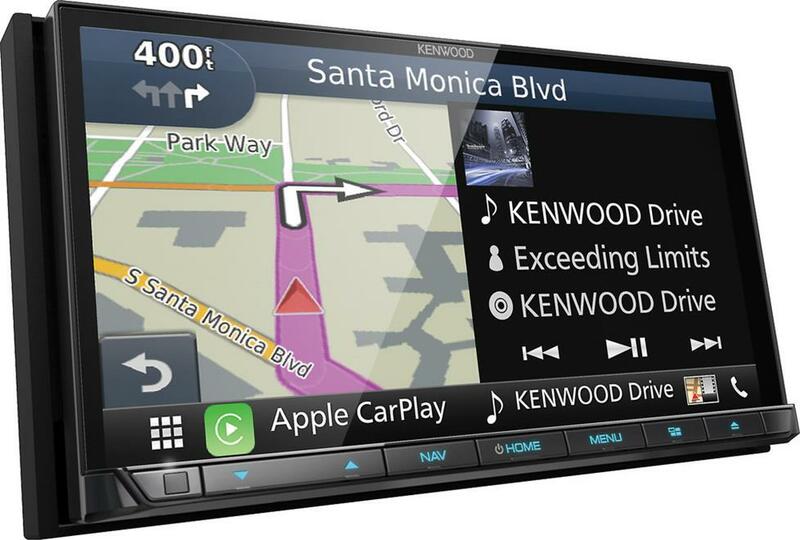 In-dash navigation systems, like the Kenwood DNX874S, provide you with large displays and easy touchscreen controls. There are a couple of simple rules guiding the external GPS antenna that comes with in-dash navigation receivers. The first is that you shouldn't ever cut or otherwise modify the antenna in any way. The other is that it needs to be in constant contact with the GPS satellites which orbit the earth, so it should be mounted in a way that there won't be a lot of interference with its signal. In most cases, you can mount the GPS antenna near the top of the underside of your dash (behind or above the receiver). Satellite signals are so strong and reliable these days that this should be sufficient to maintain reliable reception. It also serves to keep the antenna out of sight. 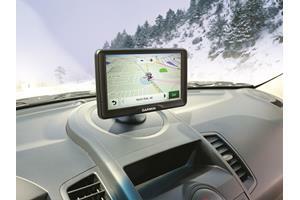 Alternatively, our tech support experts recommend mounting the GPS antenna either on the dash or along the rear deck. As long as it has a clear path to the sky and is not too close to A-pillars or a 2-way antenna, it should work. The GPS antenna should also be as level as possible and maintain a solid connection to its attached metal plate or sheet, if there is one. There will typically be some sort of adhesive involved to keep the antenna in place. You'll then need to route the antenna wire to the rear of the receiver along the dashboard or floorboard or through a window or door seal. Receivers with a video screen require a couple of extra wire connections that aren't needed for non-touchscreen stereos. Let's take a look at each one. For safety reasons, any video screen in the front of the car must be attached to the parking brake wire. This applies to GPS systems too. 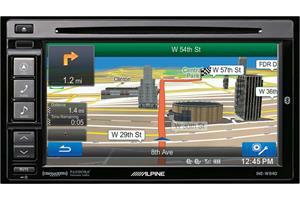 Some of the more advanced navigation functions are disabled while the vehicle is in motion. If you want to look up a phone number or change the default settings of the unit, you'll need to pull over first. In rare cases, a connection to the foot brake may also be required. 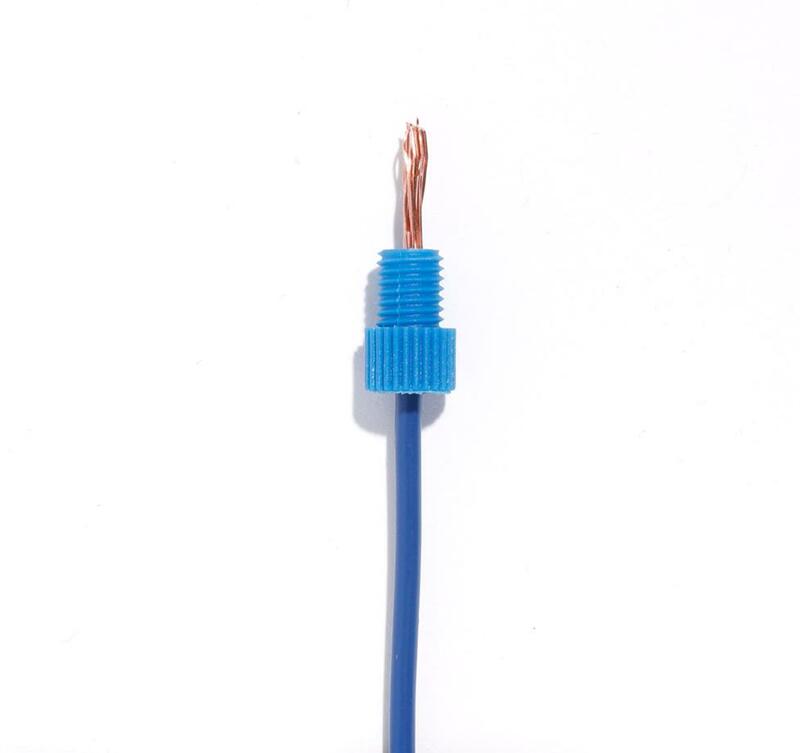 Many navigation systems also connect to the vehicle's reverse (or back-up light) signal wire — this connection tells the navigation system when the vehicle is traveling in reverse. If this wire is not hooked up, then the vehicle direction will not track properly, and the navigation system won't be able to do its job. The reverse wire can sometimes be found under the dash or under the hood, but you'll have to consult your vehicle's wiring diagram carefully in order to identify it correctly. Tapping into it at the taillight tends to be much easier. Our highly trained Technical Support staff can provide parking brake and reverse wire information for most vehicles. They're available seven days a week (have your invoice handy when you contact us). Even if the information is not available for your vehicle, they can still help you figure out which wires are the ones you need. 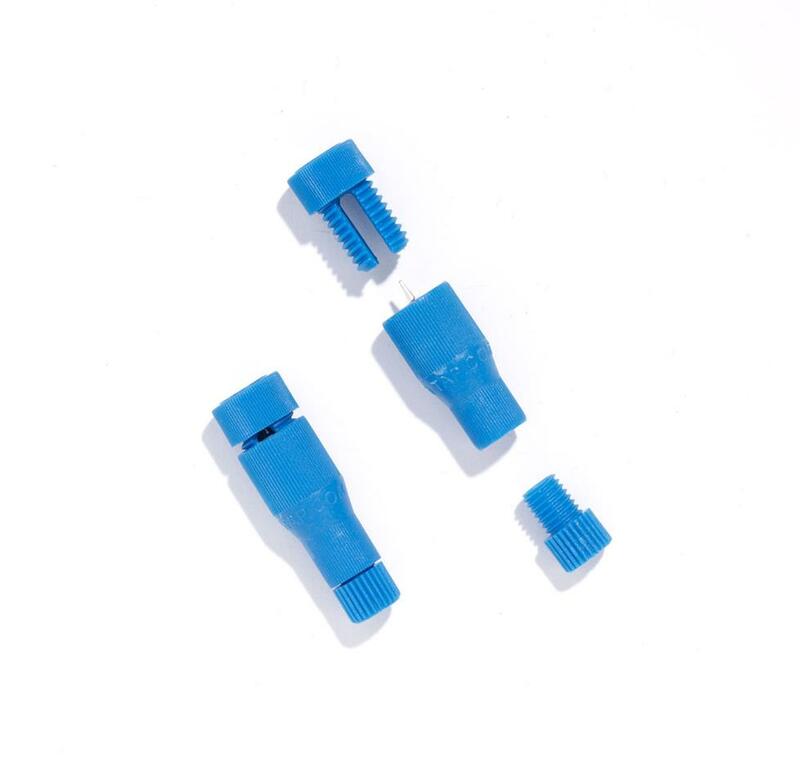 Posi-Product™ connectors offer a quick and secure twist-on connection for wires, and they can be re-used. 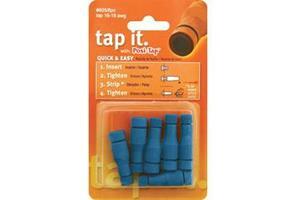 For the connections we're talking about here, you'll want a package of Posi-Tap™ connectors. They let you tap into an existing wire without cutting it. This is our favorite way to get strong connections fast. You can also try soldering or crimping if you feel more comfortable with those methods. Here is our step-by-step guide to using Posi-Tap connectors when you need to tap into a wire in your vehicle. 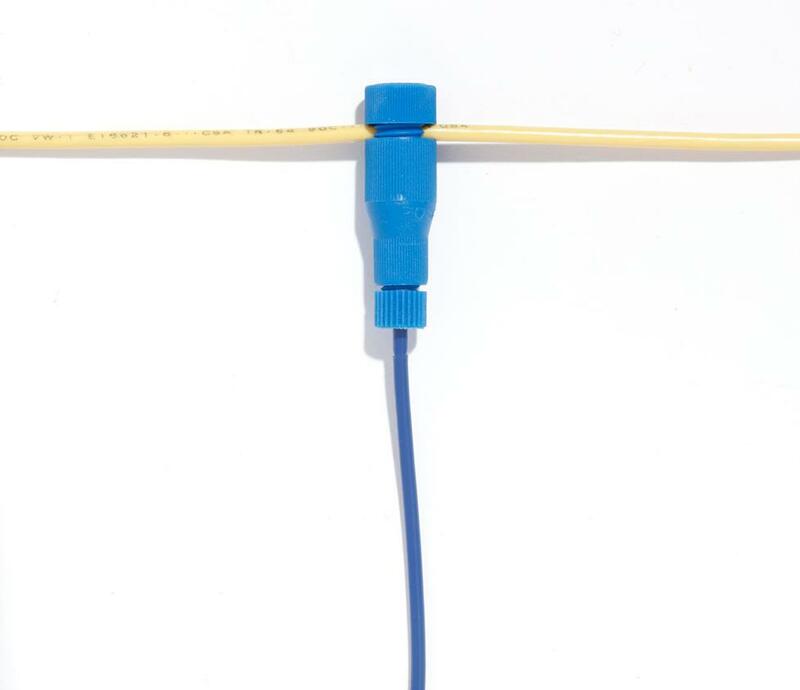 Each Posi-Tap wire connector splits into three separate pieces: large cap (tap end), barrel with conductor point, and small cap (accessory end). 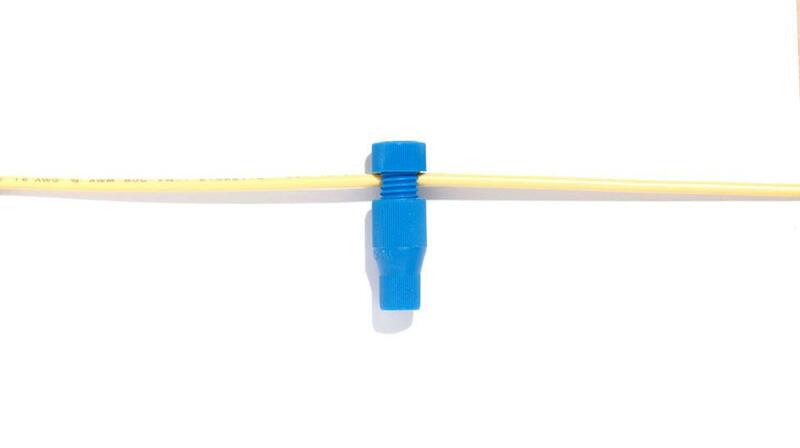 Insert the tap wire into the large cap and hand tighten into the barrel. The conductor point pierces the tapped wire without compromising its conductive integrity. Slide the stripped end of the accessory wire through the small cap. Tighten the small cap into the end of the barrel, and you're ready to go. A remote-mount nav system consists of a separate navigation computer (with an external antenna) that must be connected to a compatible touchscreen car stereo. Drivers interface with them the same way they would an in-dash system. These are not as common today, but they're just as effective as in-dash systems, provided their mapping data is up to date and they're properly connected. The navigation module is basically a box that needs to be installed somewhere out of the way. Today's navigation modules are typically compact enough to be installed in the glove compartment, often with some sort of velcro fasteners to keep them in place. The GPS antenna runs off the module, and can usually be mounted on the dash. The module requires battery and ground connections, just like the stereo. 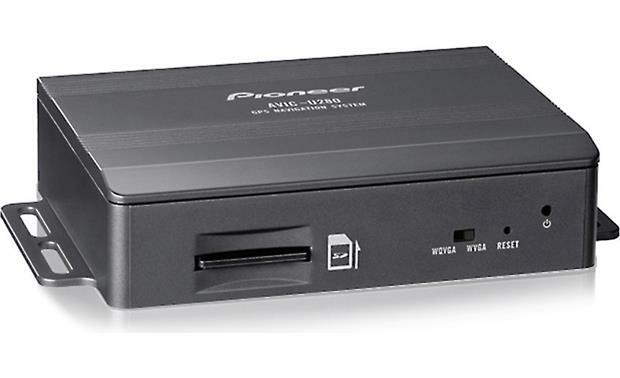 Newer add-on navigation modules like the Pioneer AVIC-U280 are compact enough to fit into the glove compartment of most vehicles. Need help choosing a navigation receiver? Installing an in-dash navigation stereo only requires a couple of extra steps beyond any other stereo installation. If you're ready to start shopping for your own navigation receiver, use our vehicle fit tool to see which models will work in your car. If you have any questions, contact our advisors. They're always happy to help and will make sure you have everything you need for the installation. Where can i get a chip/usb to update the navigation system on this touchscreen system? Hi Silvia - if your car has a factory navigation system, you'll have to check with a dealer about update options. 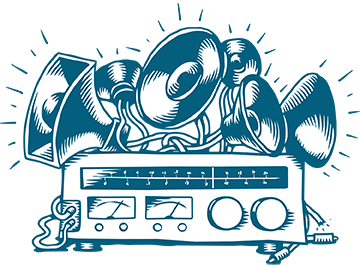 If it's an aftermarket system, check the website of the stereo brand to see if updates are available (usually as a download, which you'll have to put on a USB stick and then transfer to the stereo). Not every stereo manufacturer offers updates, however. If you bought your touchscreen stereo from Crutchfield, one of our Tech Support people will be happy to help you out if you get in touch. Kevin, if you bought your Boss stereo from us, you can call Tech Support for free help troubleshooting your system. If you purchased your equipment elsewhere, you can still get expert Crutchfield Tech Support - 90 days-worth for only $30. Check out our tech support page for details. Hi, I just installed a Boss BN965BLC and am not able to get any satellite reception. I have tried mounting the antenna o the dash as well as the outside of the car..still no reception . I wasnt able to hook up the BU camera, reverse wire, or the parking brake wire..could that be the problem? Joy, your manual should be point out where to plug in the antenna (which, I'm assuming was included?). 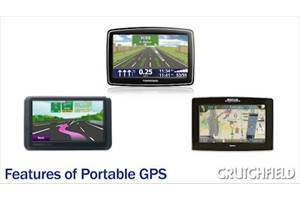 If you don't see reference to GPS in the manual and you bought your gear from Crutchfield, you can call Tech Support for free help troubleshooting your system. If you purchased your equipment elsewhere, you can call the manufacturer's tech support or you can still get expert Crutchfield Tech Support - 90 days-worth for only $30. Check out our tech support page for details. Joy, your radio antenna is not the same as your GPS antenna, which should have been included with your new stereo. Your manual instruct you on which input on your stereo to plug into. Also, keep in mind that if you bought your gear from Crutchfield, you can call Tech Support for free help troubleshooting your system. If you purchased your equipment elsewhere, you can still get expert Crutchfield Tech Support - 90 days-worth for only $30. Check out our tech support page for details. Steve, you can try searching our online Knowledge Base. I have a 2007 ram .which wire is the speed signal,and where is it,color and location. Brent, we don't carry that stereo, but you're best bet may be to contact Pyle customer support. Good luck! 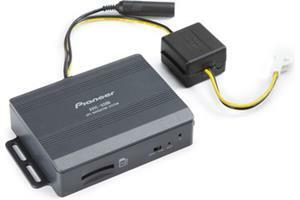 I have a pyle pldnb78i in dash gps radio. Everyday certain hours the screen is jist black, but everything else still works. Seems to be from midnight to 10am daily. There is nothing in the settings that I can find that will cause this. Can anyone help? Sunil, Without more information, it's hard to answer your question. If a navigation receiver is installed correctly, all you need to do is select the navigation interface and enter a location. You'll receive directional prompts until you reach your destination. If that function is not working in your navigation receiver, it may not have been installed correctly or a subscription to a service may be required. How to activate Navigation system in dashboard player. Robert, it's hard to say for sure. Short of heading to the dealership for repair, you could give our Tech Support a call, which is a free service if your purchased the receiver from us. Or you could open up your dash, retrace your steps to an extent and double-check all of your connections. You may find wiring information in our online Knowledge Base. I have a 2008 Mitsubishi Eclipse GS. Installed an aftermarket stereo...the speedometer and gear indication light went out. I there is something not hooked up right. The computer said it Vehicle Speed Sensor. Gary, if you bought your gear from Crutchfield, you can call Tech Support for free help troubleshooting your system. If you purchased your equipment elsewhere, you can still get expert Crutchfield Tech Support - 90 days-worth for only $30. Check out our tech support page for details. Alternatively, you may want to try the manufacturer's Tech Support if the radio is under warranty. I installed a double din audio system with gps,everything works,but the navigation system.I have reset it and it still shows it not reading software,it has a 4g card in it with maps on. It,but still no gps.i have tried by pulling card and put back,same problem..can you help?